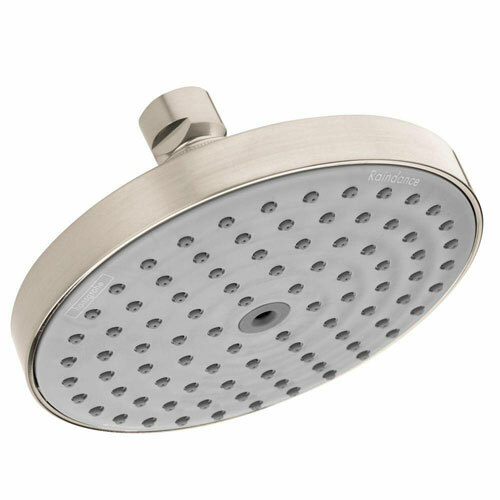 The air-injection technology of the Raindance S 150 Single Spray 6-inch Air Showerhead in brushed nickel combines standard water with the vitality of air. Each drop of water is infused with air, for an invigorating high-performance shower. Enjoy a soothing rain shower, cascading down onto your head and shoulders - Raindance showerheads envelop your body in a wonderful cloak of water for an ultimate shower experience. Item Boxed Weight: 0.95 lbs.